It was a voyage of painful self discovery. The stranger I saw in my mirror stared back and hard. 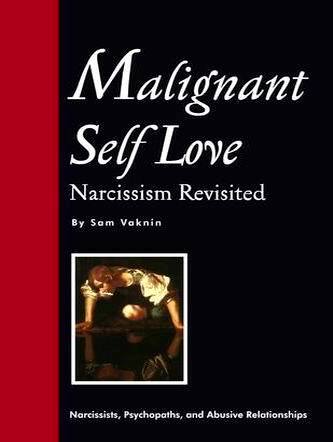 "Requesting My Loved One" and "Malignant Self Love" are twins. In the latter I generalized and non-fictionalized the former. I won the 1997 Israel's Council of Culture and Art Prize for Maiden Prose for "Requesting my Loved One". I thought it was ironic: a prisoner, writing about an amoral world while experiencing his own disintegration - and the Ministry of Education and Culture reward! The Suffering of Being Kafka is a new collection of short fiction. I cannot publish it in Israel because I had to leave it, exiled by my own profligacy. The stories are copyrighted by me. Feel free to copy them, distribute them by any means, including electronic means - providing you give me due credit (simply add: Author - Shmuel Vaknin). Don't forget to read my Poetry of Healing and Abuse and my Journal. Click on these links to Download the Entire Book! Excerpts from "The Hitler File" - Click HERE!